Wow! Either Joe is pitching in front of a Blue Screen, or that was one nice day at spring training! I vote for the Blue Screen. 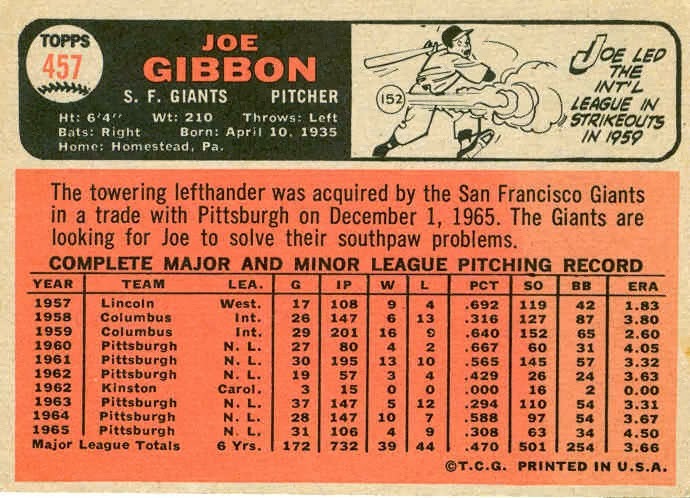 Joe Gibbon was signed by the Pirates in 1957, and spent 3 seasons as a starting pitcher in their minor-league system. Joe made the Pirates at the start of the 1960 season, making 9 starts and pitching 18 games in relief as a rookie, totaling 80 innings. 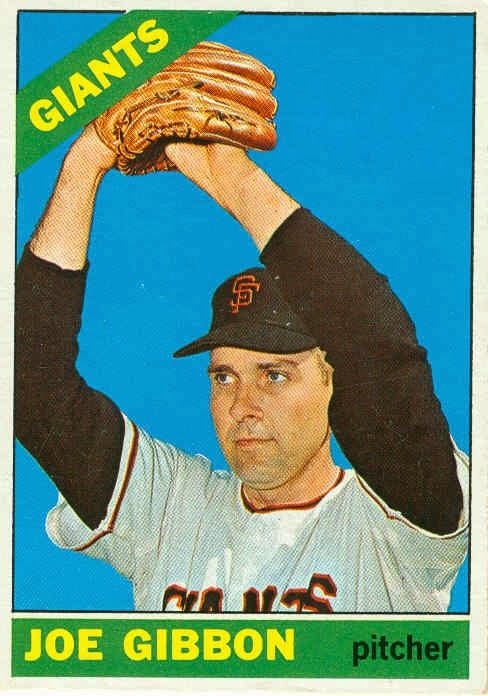 He also pitched in 2 games in the 1960 World Series. 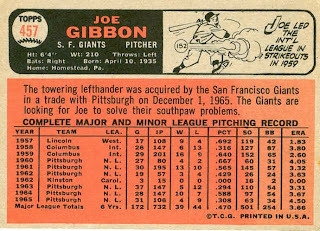 In 1961, Joe became a full-time starter. With veteran Vern Law limited to 11 games that season, Gibbon stepped up to the #2 spot in the rotation, behind Bob Friend. Joe led the staff with 145 strikeouts, and compiled a 13-10 record while logging 195 innings pitched. From 1962-65 he returned to his role as a swing man, although he was primarily a starter in 1964. After the 1965 season, he was traded to the Giants (with Ozzie Virgil) for outfielder Matty Alou. Joe played with the Giants for the next 3 1/2 seasons, primarily as a reliever, although he started 10 games in 1966 and in 1967. In mid-June 1969, he returned to the Pirates in exchange for veteran relief pitcher Ron Kline. In 35 games for the Pirates in 1969, Gibbon compiled a 1.93 ERA. Gibbon remained with the Pirates through the end of the 1970 season, including the ’70 NLCS against the Reds. He was released after the season, but hooked on with the Reds the following spring. The Reds and Gibbon both had off-years in 1971, and in May 1972, Joe and his 54.00 ERA (after pitching only one-third of an inning across 2 games) were given the boot. He was picked up by the Astros 2 weeks later, but only lasted 2 months with Houston. Joe was released on July 21st, ending his 13-year career.